Blackhawk 75FL007BK Night-Ops Duo PXL-6 Xenon FREE SHIPPING! 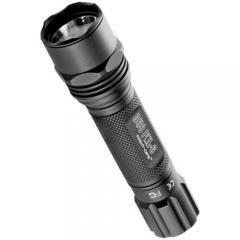 The Blackhawk Duo PXL-6 is an exceptionally versatile tool that provides two types of light output. The first mode of low light output (9 lumens) is perfect for navigation, document reading or other tasks that require a minimal amount of light for an extendedamount of time (50 hours). The second mode of light features a high output Xenon bulb that produces 65 lumens of light output for one hour and allows the user to utilize the light for outdoor chores or other tasks that require a high amount of illumination. ©2002-2019 CopsPlus.com: Blackhawk 75FL007BK Night-Ops Duo PXL-6 Xenon FREE SHIPPING!